These two articles from Stamps Comics, published in 1952 by Youthful Magazines, Inc., might not be too useful when you construct your next philatelic exhibit page. But they do give you a glimpse into the popularity of new issues in the middle of the 20th century. Take a minute and enjoy what may have influenced young people at the time to enjoy Scout stamps. 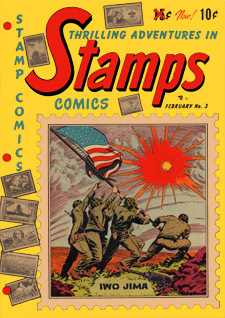 The February 1952 comic, Issue 3, contains the story of The Boy Scout Stamp with art work by H. C. Keifer, pages 11-13. 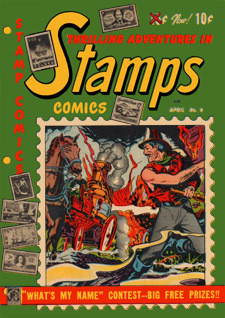 The Girl Scout Stamp with art work by Walter Palais is found in April 1952, Issue 4 pages 15-17.